On this tutorial I'm going to show you how to install a custom modpack via the external website. 1. Go to download "All the Mods" modpack, you need to click on the +1 More to have the server files. You can also see in Game version column 1.10.2, it means this modpack will require Forge 1.10.2 during the installation. 2. And click on the download button. Go to your panel and during the download you can put the server the forge version. 3. Go to the "MAINTENANCE" and "Factory Reset" menu. Warning: making a reinstallation will delete all of your current data (maps, plugins etc...), so make a backup before in "Maintenance" panel with the "BACKUP NOW" button. Only if you want to keep your data. 4. 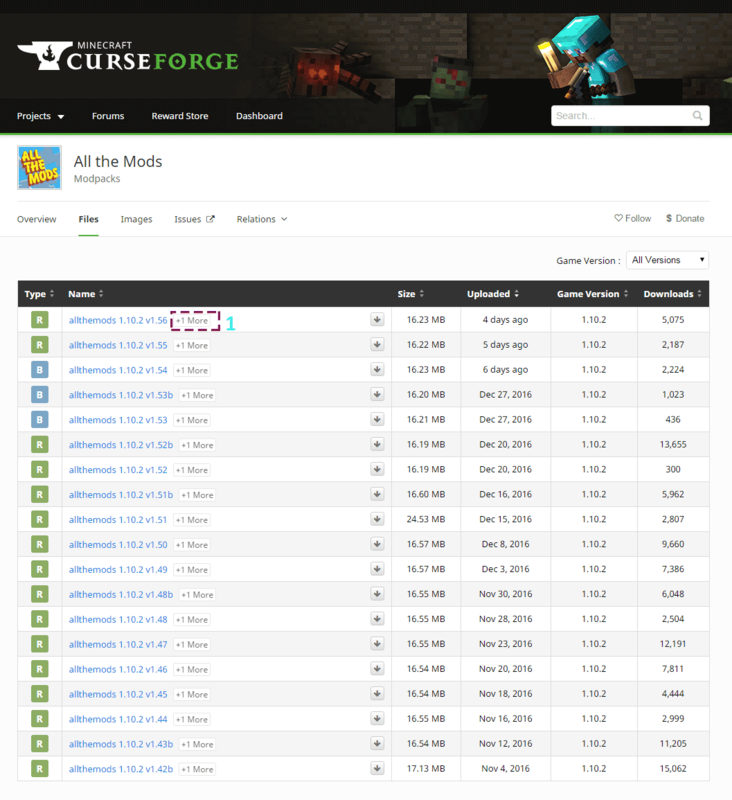 This modpack uses Forge 1.10.2 it is indicated in Game Version during the download from the Curse page. 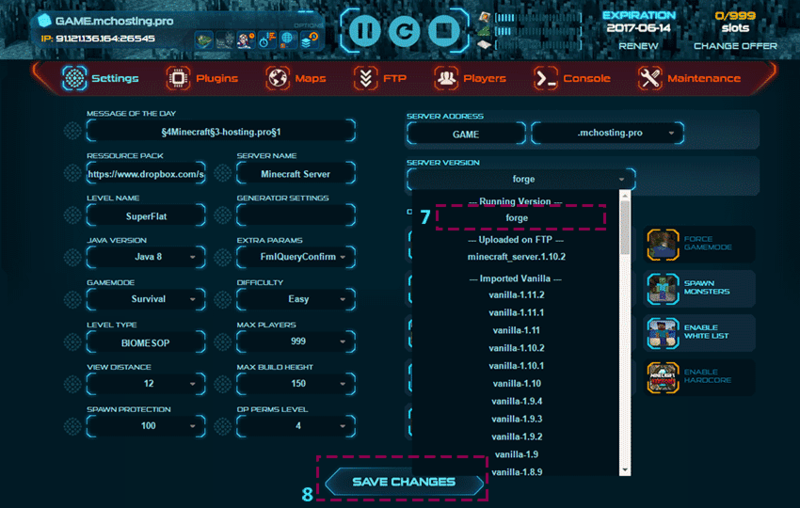 So you can select the latest version of Forge 1.10.2 from the list. 5. 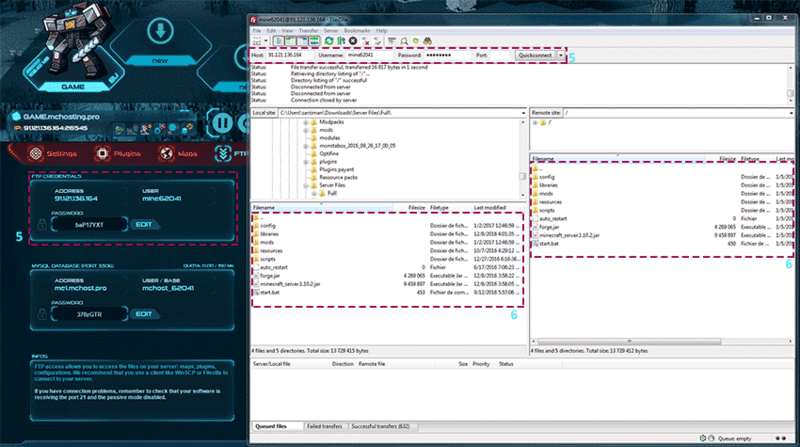 Open Filezilla and connect with your "FTP CREDIENTIALS" into your server disk. 6. Drag and drop the all the files that you have downloaded in the server root. 7. 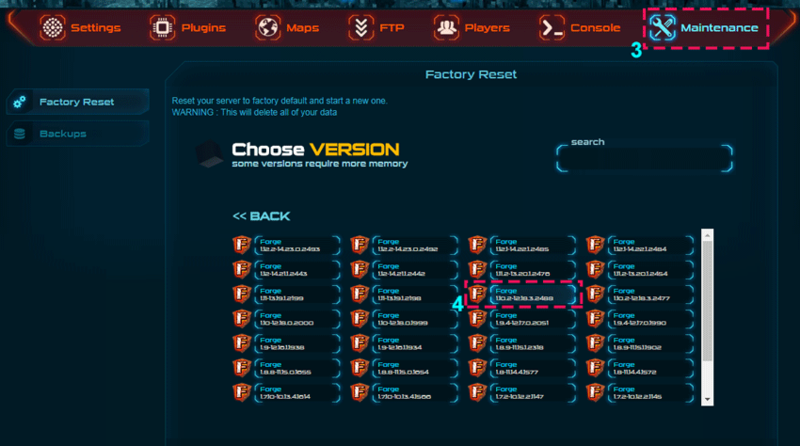 Go to the "Settings" panel, and be sure in "SERVER VERSION" you have Forge-[...] selected. 8. And click on the "SAVE CHANGES" button. If necessary change the JAVA version at 8, SAVE and restart again. 9. Go to client side, start "CURSE" Launcher and download the same version that you have downloaded for the server. To finish put your address in Curse / Twitch Launcher after the installation.